Home Is Digital Marketing Expensive? Learn the Facts! Are you planning on using digital marketing techniques to revamp your promotional activity? To be honest, it’s a great idea, but do you have the budget and resources to initiate this marketing strategy? I’m pretty sure most small businesses and startups won’t have the answer to this question. Even if you have the answer, I have a gut feeling you’ve misunderstood digital marketing as a cheap strategy thanks to numerous blogs and articles on the internet. That’s why I’ve felt the need to clear the air and inform all newbie marketers about what kind of a budget they’ll need to initiate an effective marketing campaign. The Free Ride is over! Without any doubt, we can say that digital marketing is a cost-effective method, but you can’t consider it cheap. There was a time when people would say that we can easily promote products and services on social networks like LinkedIn, Facebook and Reddit. However, as soon as the platform reflects marketing potential, it’s only a matter of time before they monetize it with paid ads. For example, one relatively new social platform that started displaying paid ads is none other than Snapchat. As much as I dislike this update as a user, businesses are loving it. In fact, according to Statista the worldwide advertising revenue of Snapchat will exceed $2.70 Billion in 2019. Yes, that’s how much businesses all around the world will spend on this source of digital marketing. Doesn’t sound cheap, does it? Do you want to know how much companies spend on the most prominent social platform, Facebook? In 2017 it exceeded $39.9 Billion. – That’s huge! The current state of organic SEO is pretty poor for businesses. Even though businesses still need to do it, the results consume a lot of effort and time. You can’t expect to see a rise in your organic traffic with SEO within a few days. It takes months, and sometimes even years. Apart from that, since the emergence of Google Ads, many businesses have actually switched their marketing budgets by investing more on paid Google ads instead of SEO. The results are speedy, and if done with the right plan it can give you a high ROI. As I mentioned above, Google AdWords is without any doubt an effective marketing channel that many top B2C and B2B companies are using to generate most of their revenue. However, due to Google’s efforts of pushing the organic aspect down the line in order to create more ad income, this digital marketing channel is getting highly expensive to rely on. Having that said, I’d like to highlight the fact that these ads cost as much as you wish to spend on them. The bidding system and average CPCs have existed since day one. As users increase, the bidding war will raise prices. This rise won’t stop until prices reach its peak or businesses merely avoid using this channel of marketing. ­– Don’t think that’s ever going to happen! As more businesses signup to this channel, you need to get smarter on how to utilize it in the most cost-effective method. If you want to beat your competitors in this, you’ll either have to outsmart them or outspend. One thing I’d like to say to all digital marketers is that you can’t ignore Google AdWords if you want to get anywhere close to standing tall with the market leaders. With over 3.5 billion daily searches, Google is the place you’d wish for your name to show up every time your potential prospect searches. To control your ad expense, all you can do is become an expert in creating a successful campaign. Believe me; it takes a lot of time and experience to pull it off. That’s why PPC experts are increasing in demand, and this trend is nowhere going down the line. How to Deal with Digital Marketing Getting Expensive? The one question that many digital marketers couldn’t find the answer too. However, we have it for you! To be honest, with all channels getting expensive there isn’t much room to cut through as a business owner. No particular marketing strategy can take your business to the top; you have to utilize and pinpoint every opportunity that shows up in front of you. Some will work, while others won’t! Our advice to you as a business owner is to focus on one strategy at a time. Don’t rush by distributing your whole marketing budget in every digital marketing channel there is. We do suggest you use Google AdWords more than other paid services, as the results have proven to be fruitful for the majority. 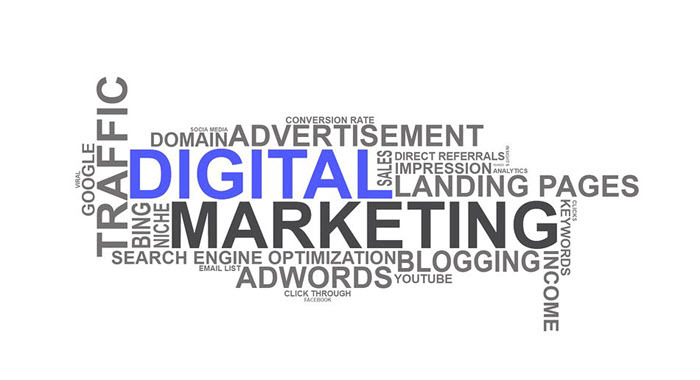 There is still one digital marketing strategy that is both effective in paid and free. If you have the budget, you always buy links and publish engaging and high-quality content on blog sites that have high traffic. On the other hand, if you are on a tight budget, many great websites appreciate your art of writing and producing great content. They’ll let you publish for free and also allow you to add a link that’ll bring traffic to your website. Content marketing not only generates traffic, but it also enhances your credulity in the industry. Your content will indicate the readers that you are an expert in what you do. This mindset can get you many loyal prospects that’ll stick to buying goods and services from you. It’s true that those days are gone when you could use digital marketing techniques with a shoe-string budget. That doesn’t mean that we encourage businesses to stop spending money on this result-oriented strategy, but we advise all companies to play smartly. Don’t go all in every time a new idea pops up in your mind. Try running A/B tests to evaluate if a specific campaign has the potential to lift your sales or traffic upwards. Digital marketing is expensive, but any business can counter these costs through effective planning and plotting. Beatrice McGraw is a digital marketing expert who works for ExportHub – An online B2B marketplace specialized in connecting Chinese suppliers with international buyers. She just loves to share her knowledge with the world in the form of blogs, videos and various other types of content. In her free time, she is an active gamer and a tech wiz who adores researching innovative solutions that emerge in the digital world.